Apprentice tool-setter Marcus Toll is the first person to successfully train a bacon sandwich. Whilst many sandwiches can be trained to perform rudimentary tasks, such as jumping through hoops or rolling over and playing dead, bacon sandwiches are notoriously obstinate and refuse to respond to traditional training methods. Nevertheless, Mr Toll persevered for many years and eventually managed to persuade his sandwich to co-operate using a combination of basic hypnotic suggestion and sodium pentathol. He now claims it is capable of operating a telephone switchboard and hopes to secure it a job at a circus - as a receptionist. 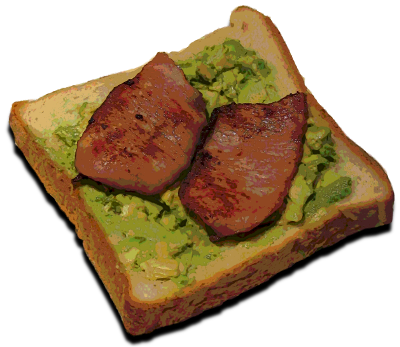 If he is successful, it will be the first time anyone has ever successfully domesticated a bacon sandwich, although for a while it was popularly believed that Alexander the Great had a bacon sandwich that could handle basic carpentry. Historians now believe it was most likely ham, or some sort of pressed meat substitute.